Team EventHorizon.tv took on the Boston Triathlon on July 30th, 2017. We had a number of EventHorizon Teammates race this event. Here is our race summary, if you’re considering racing this event here is what to except. 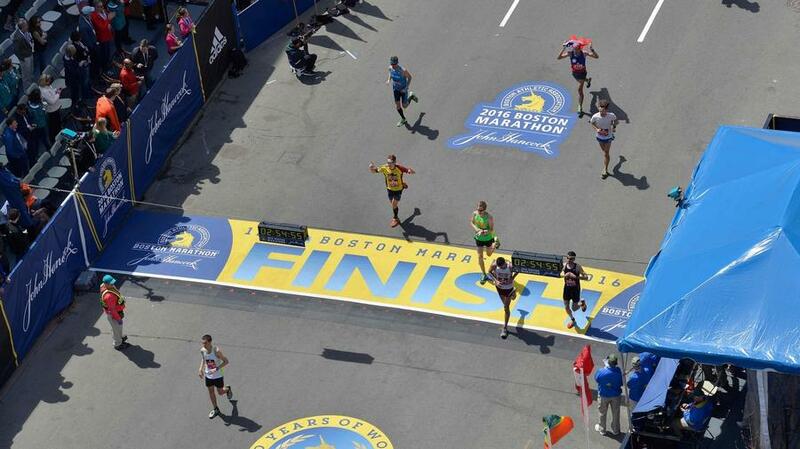 The Boston Triathlon is the only triathlon raced in Boston. 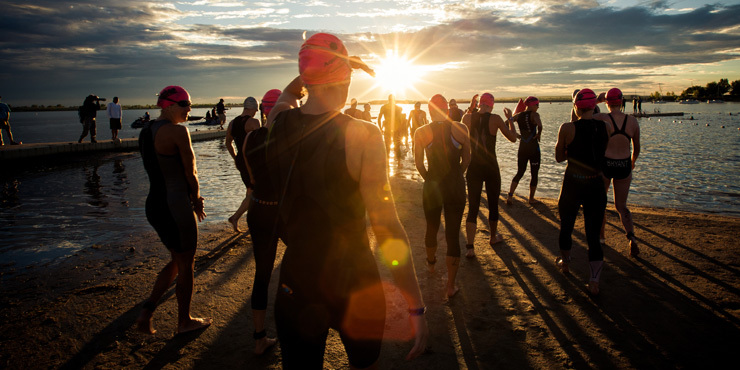 The race attracts about 1,400 athletes competing in either the Sprint or Olympic Distance. The Boston Triathlon also is very relay friendly. Expect to see see many teams competing in this event. This is one triathlon which our team races every year. Communication prior to the event in very detailed so you know how to arrive on race morning, where the bib pick-up locations are, the option for overnight bike storage (you can setup your bike the day before, there is security all night), the course details, and rules. 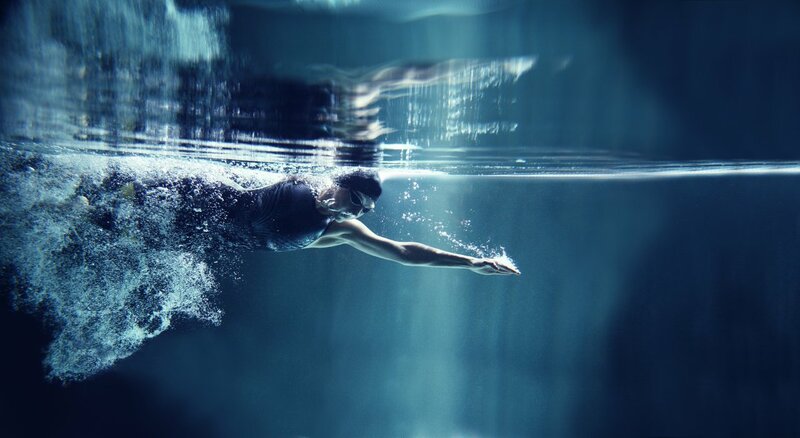 Swim: Depending on which race you are doing the swim portion is either .25 (sprint) or .9 (Olympic). In both events the swim is a single loop clockwise direction swim at Carson Beach in South Boston. Carson Beach sits in a bay and the water in generally still, however, we had a windy so it was a little choppy in the water, overall not bad. The water will be wetsuit legal, the water temps never really rise above 70 degrees there. Upon exiting the swim, it is a short run across the sandy beach, but there are feet buckets before entering transition, should you need them. Bike: Again, depending on which race you decide to do the bike distance will either be 11 miles (Sprint) or 22 miles (Olympic). The bike is a 5.5 mile loop with a 3 u-turns, it sounds bad, but it really wasn’t that bad, and the congestion was pretty limited with how the wave starts were timed. For the sprint distance you’ll complete two loops, four if your doing the Olympic, before returning to transition. The bike course is flat and fast, one can get a lot of speed and into a good rhythm before needing to make a quick u-turn. There is one section on the course in which you need to slow down and not pass, but this section is small and should not impact your bike split that much. Run: After leaving the transition area you’ll make your way onto the run course. The run course twists and turns through Joe Moakley Park. You’ll run through several paved paths through the park before heading in for the home stretch to finish on the beach. The run is all in direct sunlight so a hat can help in keeping the sun off your face. And, you’ll want sunglasses if the race is on a sunny day (which is was this year). Post Race: After the race, that’s what it’s all about, right? After race party is excellent, there are food options, craft beer options, prizes and more! After you finish feel free to go over and celebrate in the village or head towards the transition area to cheer on your friends and teammates to the finish line! Summary: Honestly, going into the race I was a little concerned with how 1,200 athletes were going to compete on a course which had multiple loops. But, the race was so much smoother than I had thought. The organizers did a fantastic job with putting this race on. It shows on race day! The event was well communicated, well run, and race day schedules ran smoothly. This is a race I would consider doing again myself next year! Highlights: We had several highlights from this years race! Coach Brady, who had competed in the Olympic Distance had a podium finish with a 17th overall finish and 3rd place Age Group Finish. Brady also finished first overall for those who were racing with Columbia Threadneedle Investments and got to meet the IRONMAN World Champion, Karen Smyers (photo below). 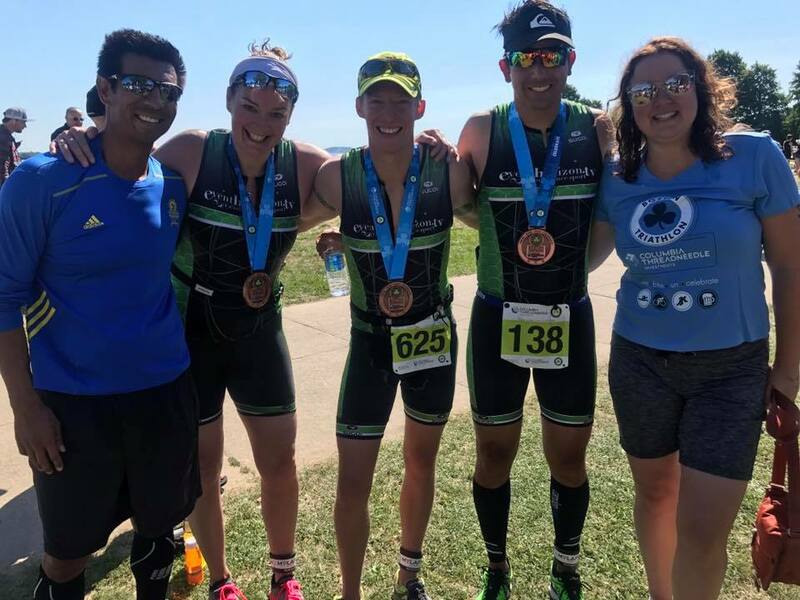 We also had several EventHorizon Teammates competing in this Triathlon at both the Sprint and Olympic Distances, and even one relay! All in all it was an excellent day! Even, Head Coach, Tony, was able to come out and cheer on all of his athletes! 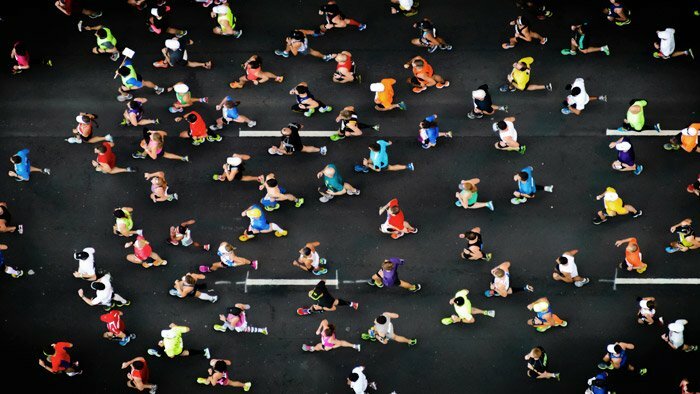 For more information about the Boston Triathlon or to work with one of our coaches to plan for next year, contact us at the links below, we’d love to hear from you!